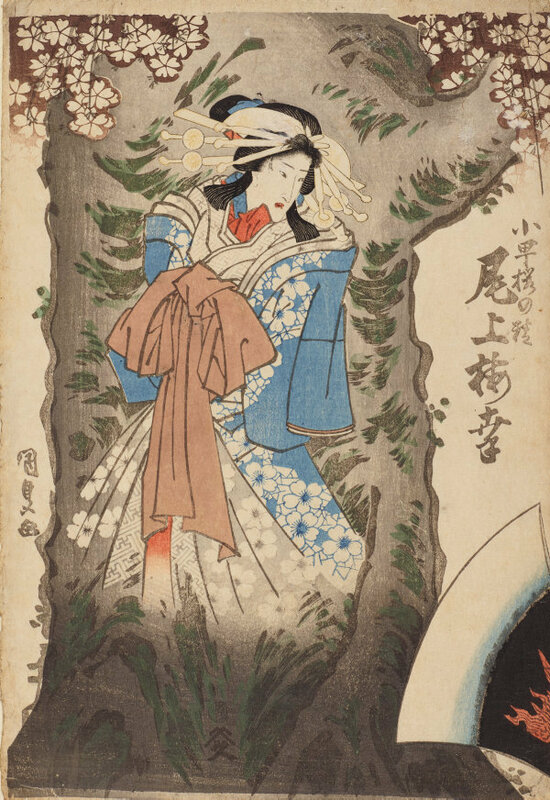 Signed c.l., in Japanese, ink [incised on block] "Kunisada ga [picture by Kunisada]". Not dated. Nihon no yôkai , Tokyo, Apr 1995, 74 (colour illus. ).